You are a warrior-priest, blasting your enemies with the power of your god and healing your allies in the middle of battle! Clerics can use shields, light armor, medium armor, and simple weapons. You can cast cleric spells. Every morning, you spend an hour praying for the spells you want to cast that day. This is called “preparing your spells.” When you cast a spell, mark it off from today’s list of prepared spells. 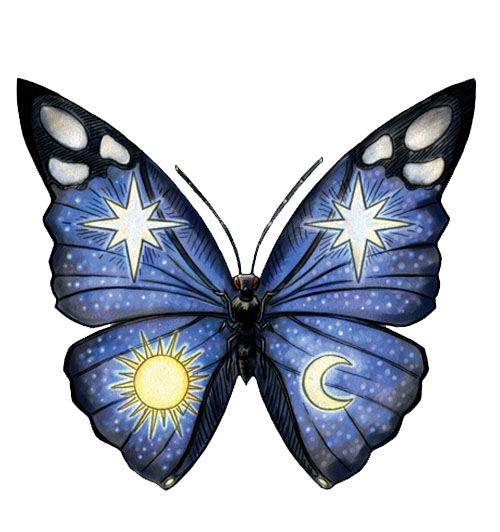 Each day you can pick different spells—they don’t have to be the same ones each time. When you use this, you release a blast of divine power through your holy symbol. This blast is centered on you and reaches 30 feet in every direction. Each time you use this ability, you can either heal the living or damage undead. A 1st level cleric can use this feature 3 + CHA per day. All living creatures (including you) within 30 feet heal 1d6 hit points. This blast does not hurt or heal undead. Undead creatures within 30 feet take 1d6 hit points of damage. If they make a Will saving throw to resist, they take only half damage. The DC of this save is 10 + 1/2 your cleric level (minimum 0) + CHA. This blast does not hurt or heal living creatures. Pick a god from the choices below. Write your god’s name and the two special powers from your god in Section F of your character sheet. Write your god’s holy weapon in Section E.
Desna is the goddess of travelers, stars, and luck. Her clerics are wanderers, fortune-tellers, or artists, and they fight against evil things in the darkness. Desna’s holy weapon is the starknife, which you can use in melee or throw at an enemy. You can use agile feet a number of times per day equal to 3 + WIS. When you activate agile feet, for 1 round you can move through obstacles that slow your movement (like bushes, stairs, or rubble) at your normal speed. Activating agile feet is a free action. You can use bit of luck a number of times per day equal to 3 + WIS. When you use bit of luck, touch an ally or yourself. For the next round, any time that ally rolls a d20, he or she can roll twice and use the better number. Activating bit of luck is a free action. Erastil is the god of hunting, trade, and farming. His clerics protect frontier communities from predators and seek out monsters that threaten peace. 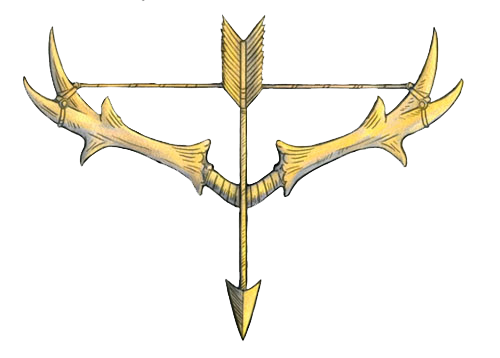 Erastil’s holy weapon is the longbow, used by hunters and militia to hunt food and protect the homeland. You can use calming touch a number of times per day equal to 3 + WIS. You can touch an ally as a standard action to heal it 1 hit point per cleric level. This also removes the fatigued, shaken, and sickened conditions from the ally. You can use wooden fist a number of times per day equal to 3 + WIS. As a free action you can make your hands as hard as wood and covered in tiny thorns. When using this ability, add half your cleric level (minimum +1) to your unarmed strike damage. Your hands return to normal at the start of your next turn. Gorum is the god of strength and battle. His clerics are mercenaries, gladiators, or mighty heroes who love to fight. They believe his spirit is in every piece of iron. 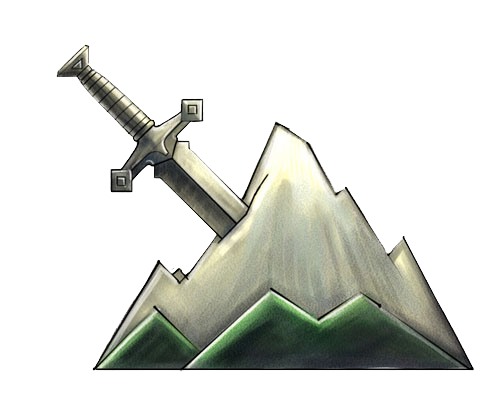 Gorum’s holy weapon is the longsword, which is a melee weapon used by soldiers, city guards, and many adventurers. You can use battle rage a number of times per day equal to 3 + WIS. When you use this ability, touch an ally or yourself. For 1 round, the creature you touched gets a bonus on melee damage rolls equal to 1/2 your cleric level (minimum +1). Activating battle rage is a standard action. You can use strength surge a number of times per day equal to 3 + WIS. When you use strength surge, touch an ally or yourself. For 1 round, the creature you touched gets a bonus to STR checks and STR skill checks equal to 1/2 your cleric level (minimum +1). Using strength surge is a standard action. 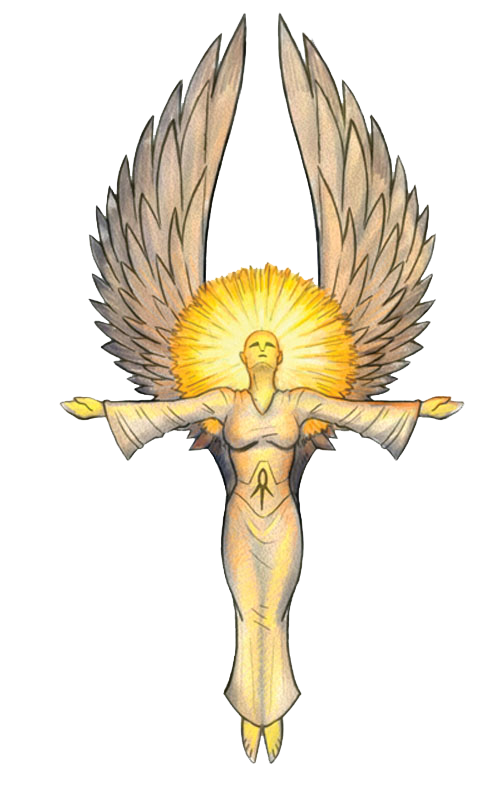 Sarenrae is the goddess of the sun and healing. 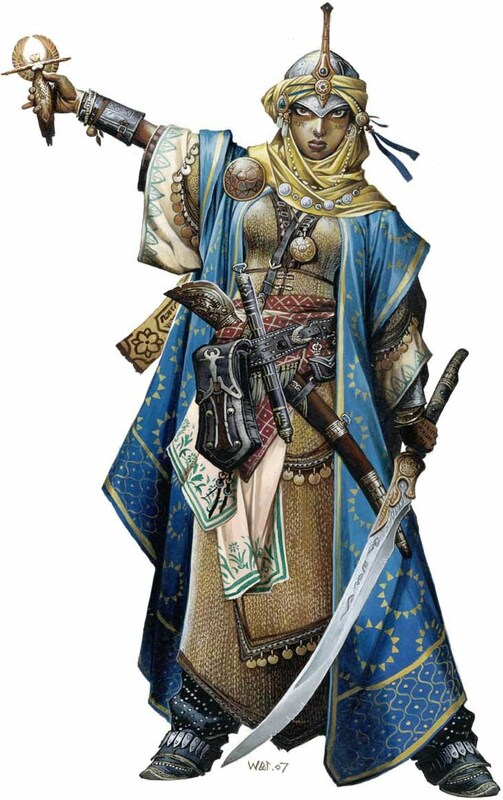 Her clerics are healers, masters of the scimitar, and destroyers of undead monsters and abominations. Sarenrae’s holy weapon is the scimitar, a long, curved melee weapon capable of deadly strikes. You can use rebuke death a number of times per day equal to 3 + WIS. When you use rebuke death, touch a dying ally (at –1 hit points or lower). You heal the ally 1d4 hit points plus 1/2 your cleric level (minimum +1). Activating rebuke death is a standard action. Whenever you use your channel energy class feature to damage undead, add your cleric level to the damage rolled. You can prepare another 1st-level cleric spell each day. Your channel energy ability increases by +1d6. You can prepare one 2nd-level cleric spell per day. If your Wisdom ability score is 14 or higher, you can prepare an extra 2nd-level cleric spell each day. Just as you can always swap a prepared 1st-level spell for cure light wounds, you can always swap a prepared 2nd-level spell for cure moderate wounds. You can prepare another 1st-level cleric spell each day! You can prepare another 2nd-level cleric spell each day! You can prepare one 3rd-level cleric spell per day. If your Wisdom ability score is 16 or higher, you can prepare an extra 3rd-level cleric spell each day. Just as you can always swap a prepared 1st-level spell for cure light wounds, you can always swap a prepared 3rd-level spell for cure serious wounds.